The secret is out that Full Service Property Management is the top rated property management company in the greater Seattle area. That is bringing with it unprecedented growth. But we will not over burden our employees and compromise our great service. That means we need to find highly qualified individuals who can work independently in an exciting, fast-paced environment. We are committed to not only improving the lives of our residents and clients, but also our team members. We are trusted by our clients and residents every day. So we need people who are honest, transparent, accountable, and dependable. We are looking for people who do not do the convenient thing; they do the right thing. Part of being honest and transparent means there are no hidden agendas. We look for humility, and people who respect differences in a professional manner. Being a team player means being unselfish and having each other's back. We look for individuals who are "all in" on what we are trying to accomplish. We are passionate about what we do, and we have a certain style and commitment. Read our blog and check out our videos and see if you are on board with what you are reading and hearing. Surprisingly, this is the least important of the four C's. That is because we can usually train the right individual on the tasks at hand. 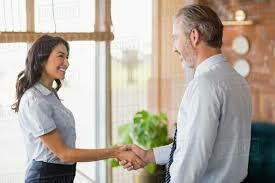 But this is still a very important element and we look for people with appropriate experience in their chosen field. If these qualities ring a chord in your soul then we encourage you to send us a message at info@fullservicepm.com. Send us your resume' and a cover letter. Tell us a little bit about yourself, and what you can bring to the team. Let's begin a dialogue and see where it takes us. It could be the beginning of something very, very good!